During the preseason lead-up to tipoff, which included a scrimmage with reigning National Champion Villanova, Virginia basketball coach Tony Bennett noticed that a traditional two-post lineup “labored” a bit and looked a little “crude” in its play. So as the new season started with Towson on Tuesday, he shuffled the approach. The Cavaliers heavily featured small-ball lineups throughout the night, which included the starting five, and eventually shook the Tigers, 73-42. 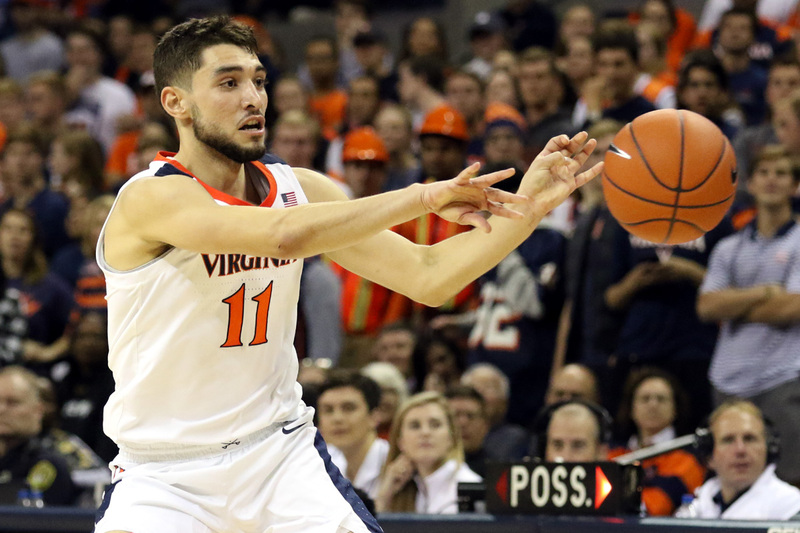 The opening quintet of Ty Jerome, Kyle Guy, De’Andre Hunter, Braxton Key, and Jack Salt signaled the small-ball shift at tipoff and the strategy played out for large chunks of minutes as the game progressed. At one point, due in part to some foul trouble, the Hoos even ran with five perimeter players on the floor with Kihei Clark joining the other starters. The ability of Hunter and Key to defend multiple positions, attack from multiple spots on the floor, and remain active on the glass helps make small ball work for this team. The duo certainly showed that in their first game together Tuesday night. Hunter posted his second career double-double with 13 points and 10 rebounds in 26 minutes. Key, meanwhile, debuted at UVA with 7 points and 9 rebounds. That accounted for nearly half of the team’s defensive rebounds (11 of 24) in the game. The versatile lineup choices also opened up the floor for other playmakers to take advantage too and that’s exactly what junior Ty Jerome did. He led all scorers with 20 points thanks to a sizzling shooting night. He tied his career high with 6 3-pointers on just 9 attempts. Jerome also dished out 4 assists. Guy chipped in 8 points and 3 assists too. Overall, the five players that logged at least 20 minutes of playing time – Guy, Key, Jerome, Hunter, and Clark – combined for 52 points, 15 assists, and just 3 turnovers. The Cavaliers shot 48.1% overall and 38.5% from 3-point range. They registered 19 assists with just 5 turnovers. The Tigers, meanwhile, ended up at 31.7% shooting overall and just 28.6% from 3-point range. They produced 0 assists and committed 14 turnovers. Skerry also noted that Jerome knocked down some daggers to help the hosts pull away. The Hoos trailed 11-9 near the midway point of the first half when Jerome drained his first 3-pointer to put Virginia in front for good. Key followed with a triple of his own before Clark found Hunter for a powerful dunk in transition, which forced a Towson timeout when trailing 17-12. The Cavaliers couldn’t completely shake the visitors until about 12 minutes to go in the game, though. They led 42-33 when Mamadi Diakite scored in the paint to start a decisive 18-1 burst. Jerome had a 3-pointer in that run too and so did Guy, who knocked one down with 8:34 remaining. That surge ended with a Jay Huff alley-oop slam courtesy of a cross-court pass from Key. Huff delivered another oop jam later in the game when Clark got past the defense and then lofted an easy pass for Huff to grab and dunk. Huff put up 8 points for the Hoos. That silver platter delivery was one of the better highlights in the game. 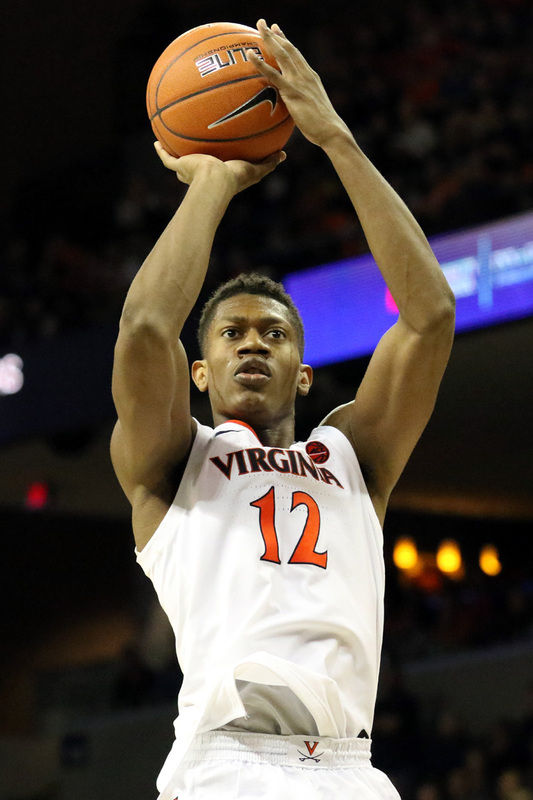 Clark, also appearing in his first Virginia game, ended up with several of those moments in his first action. One play, for example, that drew cheers from the bench and the stands alike came in the second half when he snared an inbounds pass out of the air and made the chip-shot layup. That was just part of some pesky on-ball defense as advertised. Clark finished with 4 points and 6 assists in 24 minutes. UVA fans hope more highlight plays are on tap later this week when the Hoos host George Washington on Sunday for a 2 p.m. game.